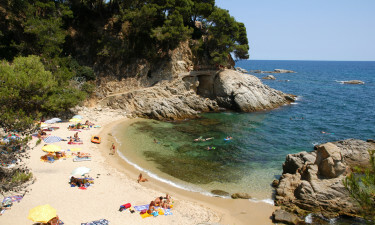 Cala Gogo - Costa Brava, Spain - Book online at LUX-camp now! Offering 12 hectares of waterfront enjoyment, the luxury camping site of Cala Gogo leaves visitors wanting nothing more when it comes to beauty, activities and fun for the entire family. Please contact LUX-camp for further details in regards to this camping holiday. 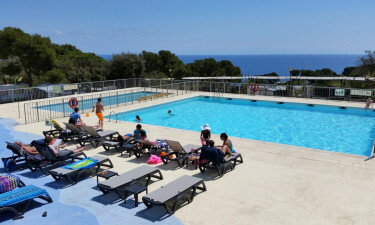 Why Should I Choose the Holiday Camping Site of Cala Gogo? More than 800 pitches to enjoy. The choice of modern and comfortable mobile homes. A host of activities near the site itself. Splendid weather throughout the year. Thanks to the location of this luxury camping resort, guests can expect dream-like temperatures throughout the majority of the year. Summers are warm and dry while there are very few rainy days. The winters are known to be quite agreeable as well and due to the proximity of this luxury camping site to the sea, the chances of snow are virtually eliminated. There are a number of conveniences on the site to ensure your break is truly a luxury camping experience. With wireless Internet, an open-air pool, tennis courts and table tennis facilities, you’ll be able to unwind with the family. Indeed, there are baby changing rooms as well as entertainment specifically intended to keep the young ones occupied. All facilities can be accessed by wheelchairs and laundry services are included within overall pricing package. Camping Cala Gogo is located quite close to Girona in Catalonia, meaning visits to this historic city are easy. The choice of attractions available nearby are equally as enticing; a handful of the leisure attractions found in this area include bicycle hire, sailing, surfing, golf and miniature golf. Of course, the splendid coastline proves to be a perennial favourite for any age. The waters are quite inviting and they offer a welcome respite from the sun during the summer months. 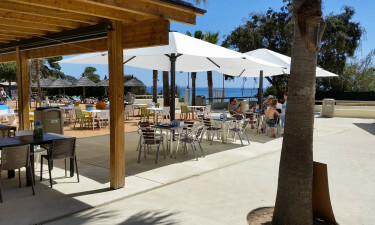 A restaurant as well as a takeaway eatery are both found within the confines of Cala Gogo. This restaurant is particularly popular during the warmer months when families will be able to enjoy an open-air dining experience. Local Catalan dishes are served up alongside international favourites such as pizzas and even the occasional cheeseburger. The takeaway menu can be perfect for those who hope to spend some quality time with their family while experiencing second-to-none levels of culinary bliss. A poolside bar provides sumptuous cocktails and a selection of imported lagers. This holiday camping site offers guests the ability to purchase many everyday goods while not having to walk far from their mobile homes. A large restaurant supplies fruits, vegetables and fresh bread on a daily basis and unlike some other luxury camping resorts, this market is open throughout the year (not only during the peak season). Another interesting feature is that gift cards can be purchased; helping to eliminate the need to access cash points. Learning more in regards to this amazing holiday has never been easier thanks to the details that LUX-camp is happy to provide.